It was as I was searching for my next horse to follow in the footsteps of Sleep Late that Hans and Chris discovered you. Carmen and I saw you for the first time at Luhmühlen; a tiny black horse with little pony hooves and movement that gave away your thoroughbred breeding. From a dressage point of view I was not exactly jumping for joy. The first cross country jump however showed how fast and confident you were. The first time jumping over colourful poles on this hot and sunny day was not so impressive but with the hopes that it would improve you came to our stable in 2005. Carmen still remembers your first few days and weeks with us: small and unremarkable but you showed us very quickly just what an amazing character you were. I was still very unsure if you would be talented enough however your pony-like self assured way impressed me from the start. It was clear fairly fast-you wanted to stay. You tried your little heart out, had stamina, willpower, you were tough as nails and mastered each step of your training with flying colours. Carmen, who would become your best and most trusted friend, was always behind you, and supported you in the best possible way. You thanked us with your incredible soundness. After Hong Kong you were meant to be sold but luckily Madeleine Winter Schulze stepped in and bought you and we were able to stay together. After winning our second Team Gold I was asked about retiring you after such a sensational result. I started you in Badminton to see how fit and motivated you still felt-you were super. As Escada showed us what she was capable of in Malmö you fought back only one week later at Burghley to remain as Number 1 in the stable. Burghley was our most difficult cross country course together and you once, with your typical heart and fighting spirit, more gave me everything you had. I often asked myself when the right time would be to retire you. I was hoping you would give me a sign as Sleep Late had done. 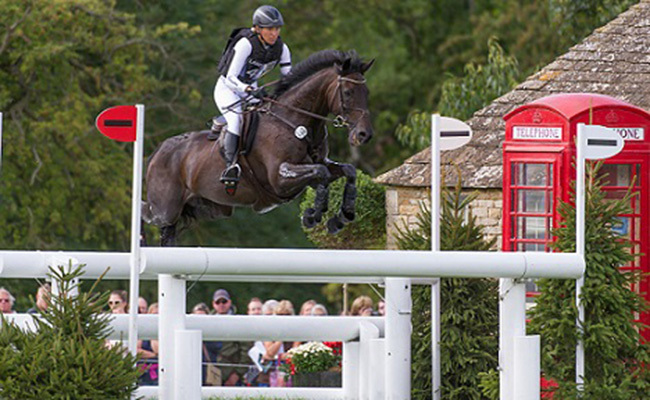 You were so fresh and motivated as always in this season; there was no German combination that had finished in the British 4 star-classic Burghley in the top 5. There were only 6 four star courses in the world, 4 of which you had successfully completed,with a trip to Australia now being out of the question. It simply could not get any better!!! My dear Braxxi, the time is right for a change, for the next chapter in your life. Carmen, with whom you are so close, and I, will continue to train and keep you fit, you will remain our favourite; whether hunting, riding out or teaching the children,who can learn so much from you, you will not be bored. We will enjoy seeing your spirit when playing in the field with your buddies Nemo and Barney. Carmen says you can read and write, you are always in a good mood and willing to have fun. When Carmen rides you in nothing but a neck rope this is pure joy and shows the trust and incredible friendship between you. My dear Braxxi, I thank you for the countless and unforgettable moments of absolute happiness. 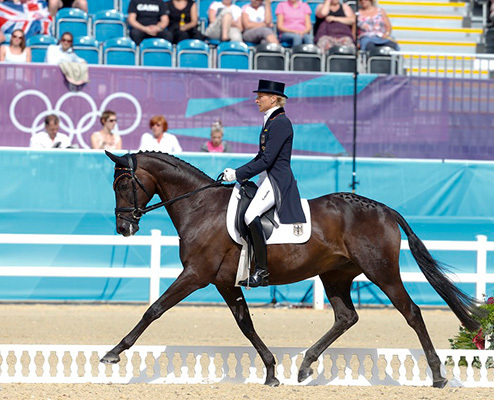 To shine in the dressage arena- you made it so easy for me. Riding the most difficult cross country courses in the world you were always “as fast as a hare” (quote Chris Bartle) and brave as a lion. You touched my heart so often. You gave me the gift of trusting me absolutely and never questioned that I would choose the correct path for us. We are a wonderful Team and could always rely on one another. 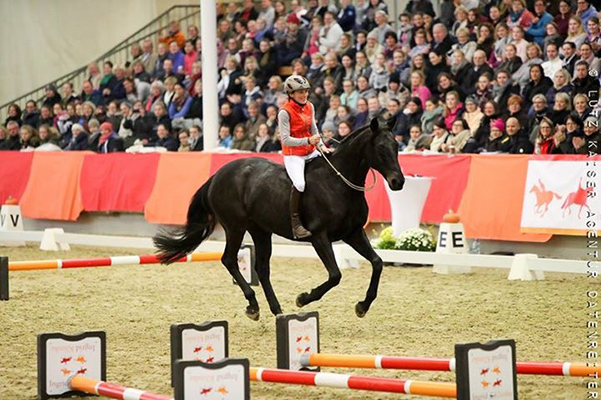 Often I was dissapointed after show jumping-not one of your strengths! However every horse in my life has taught me something important. From you I learnt that one must sometimes simply accept things as they are and learn to live with them. You have such an amazing personality dear Braxxi and will always remain this way for me! Thanks to Thomas Philipzen from WN-TV!